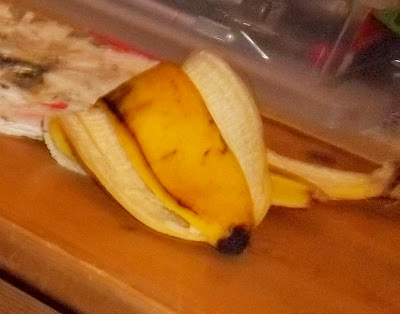 Daddy sometimes has a banana before bed and I'm always rights there to gets my share! 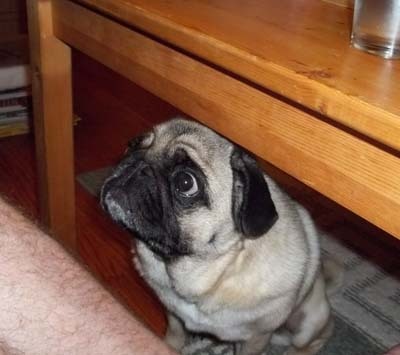 Sometimes, though, it seems that Daddy doesn't see me so I have to use my super duper Peeper Power to hypnotize him. Sometimes even the power of the peepers doesn't work so wells and I has to move closer so that my whiskers tickle his knee. But in the ends, Daddy always shares. A winner and our trip! We're sorry it's taken our secretary so long to post the winner of our Almost Summer Giveaway but we's were away in Mun-tree-hall. We used a random number thing-a-ma-gingy to choose our winner and so without further ah-doodoos, the winner is...Wilma! 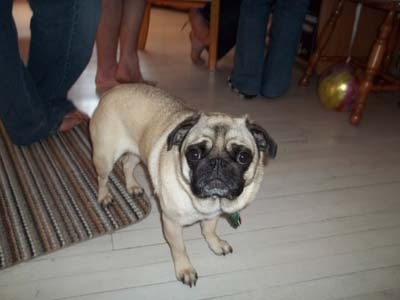 Wilma said, though, that if she won she would donate the vest to our friends Southern Fried Pugs for their new rescue. So congratulations Wilma and Southern Fried Pugs!!!! If Southern Fried Pugs email us a pearlanddaisy at gmail dot com with your address, we will send the vest out to you. And now about our trippies. Wonders why I look so sad in this photo? That's because there are all these feets around me and I"m not licking any of them! 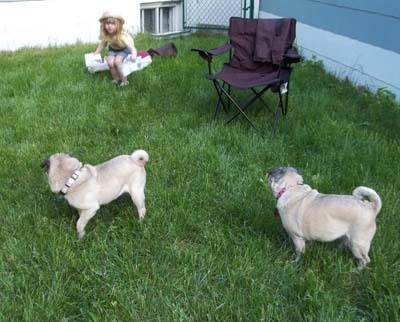 Here's me and my sister in the backyard with Gigi while she hops like a bunny. 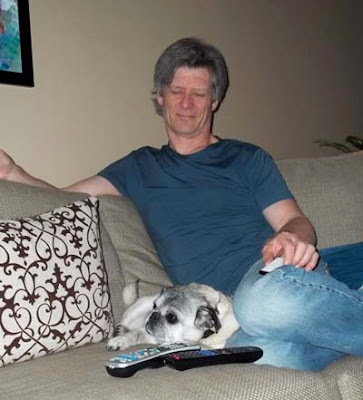 And finally, here's Pearly with one of her favorite peeps - Uncle Rick. Pearl loves Uncle Rick because he gives her meat! And lots of it! Things like ham! And burgers! Yum! 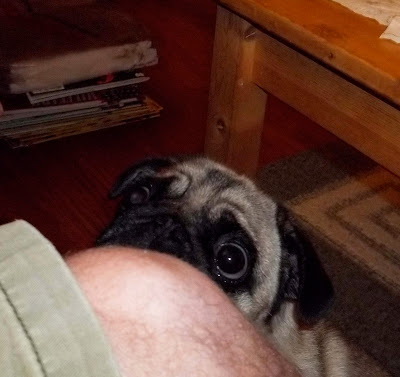 Years ago, Uncle Rick also used to not let Pearl on the couch at their house so Pearl humped his leg and now he lets her go up whenever she wants. And he rubs her and tells her how cute she is. Now, we're going to rest up before our next trip next week to Torontoes!